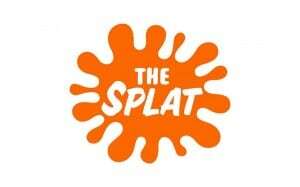 The Splat To Bring '90s Nickelodeon Toons to Nick Channel | Nerd Much? Although it was originally being reported around the web that The Splat would an entire channel dedicated to the ’90s heyday of Nickelodeon, it looks like that’s not exactly what’s going on. According to Variety, an insider is claiming that it won’t be a full-on channel like we were originally hoping and expecting, but will actually be just a block of programming dedicated to many of the network’s classic animated series. Nickelodeon did not detail any of the specifics, such as what shows to expect in the lineup, but the source noted that it will start sometime in October. Judging by The Splat’s Facebook page, the block will likely include Ren & Stimpy, The Rugrats, Catdog, Rocko’s Modern Life, and Hey Arnold!. The source also noted that this isn’t the Nickelodeon reboot that the network had mentioned earlier this month. No further details are available at the moment, but we’ll have more soon once Nickelodeon makes the official announcement. Although a ’90s Nickelodeon block will be cool, a dedicated ’90s Nickelodeon TV channel would have been even better.